How could you add yellow to your home decor? A Creative Mint is one of the many inspiring design blogs that I read and Leslie’s post the other day, with this extraordinarily beautiful yellow flower and butterfly, was such an eloquent apology for a long absence from her blog postings. I asked if I could borrow it because I too have been delinquent and thought I could use her poignant message to slide in under the door and hope that no one noticed me missing. Everyone’s world spins out of control for different reasons. My whole universe downsized since retiring from a 26 year career in real estate. Some days I’m not sure I’m even on the same planet as everyone else but my GPS tells me I am. So what could possibly turn my world in the wrong direction and clog my creative spirit? Laptop motherboard melted and took all my passwords with it including the key to this blog. Sewed too many dark fabrics which dulled the light in my workroom. Made me SAD. Switched to organic coffee which doesn’t have the same “on-steroids-turbo-charge”. Sewing machine needed re-threading and it its a real bi**h to fix… so I bought a new one. The CD manual got stuck in my old laptop. Reading too many BHG ” Big Ideas For Small Spaces” which results in brain poo … its true… your brain shrinks with age. Yes… its all true. I now realize how distracted I have been lately. The simply beautiful reminder for me in Leslie’s picture (above) is that I’m so lucky to enjoy a rapidly growing clientele while indulging my creativity in my drapery / sewing business. I often feel like a butterfly directed only by scents and sights of a beautiful garden. That yellow flower is so fitting too. Yellow inspires optimism, enlightenment, and happiness. It promotes energy and sparks creative thoughts. How about you? How would you add some yellow in your home decor or in your life? Make sure you stop by and read A Creative Mint too! Thank you so much for your kind words and encouragement! Glad you like the pillows and so happy you found me tweeting. I love meeting and tweeting with designers and artisans around the world! Thanks for stopping by! 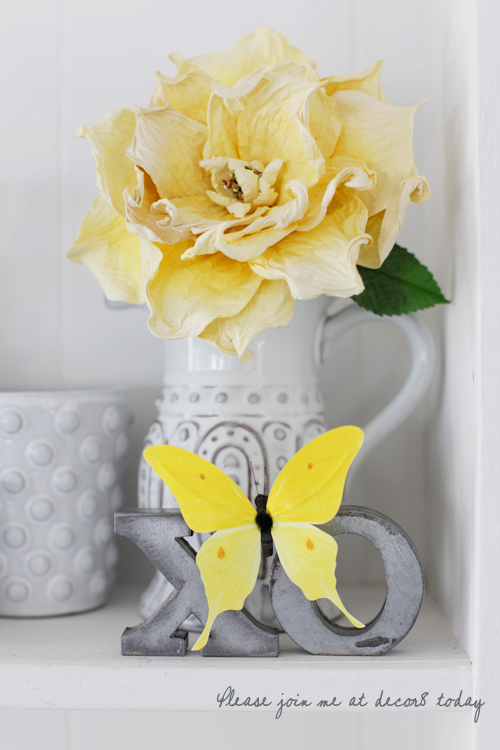 The yellow rose and butterfly are exquisite. Is spring really just around the corner? 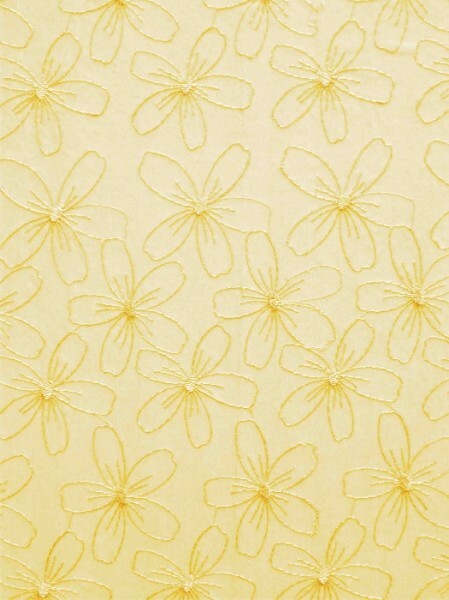 The yellow daisies fabric from Maxwell is really pretty. Can’t wait to see something made with it. Glad you are back blogging with your funnies. And for the record, organic coffee is far better than the ‘other stuff’. Yes… the daisy fabric is very refreshing but wait till you see the gorgeous fabrics I am bringing out in my Spring Collection. Picked up 55 yards of FABULOUS yesterday! Shopping is the best antidepressant that I know of. 🙂 Thanks for stopping by! Thanks so much for stopping by Karena!